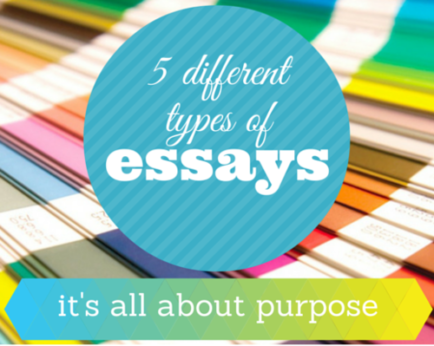 Your goal in writing an essay determines the type of essay you write. Different types can be used to communicate a theme and different results. For example, if your theme is birthday cakes, your goal might be to describe the designs of the cakes or explain how to bake one. If you want to compare and contrast designs cakes, writes in favor of one design over another or talk about the pros and cons of a specific design. Maybe you just want to share your experiences about baking a cake. The type of essay you choose will reflect your goal and help you decide what and how to write. A descriptive essay provides details of your subject, for example, cake designs. Maybe talk about cakes levels, or form a single layer and bake molds, tools and techniques to make one. The goal is to help the reader visualize the issue through sensory descriptions, such as smells, sights, tastes and sounds. A comparison and contrast essay discusses similarities and differences. For example, you might mention how the ingredients and baking time for cakes and levels of one layer are similar, but how the union of parts and storage are different. The goal is to provide facts about the similarities and differences without persuade the reader to decide. An essay of argument or position is designed to be the support of one position or another. For example, you can say that a homemade cake is better than one purchased because it has fresh ingredients and hand-cut, it is cheaper to cook and can be customized. The goal is to persuade the reader to believe what you, the writer, think about it. An analytical essay is a thorough and impartial explanation of a topic. For example, in your essay you can analyze the advantages and disadvantages, strengths and weaknesses of baking a cake levels. The goal is to provide a factual theme look to the reader to decide, which is the best option for him, in his time, expertise and budget, for example. A narrative essay tells your expertise in a subject. For example, perhaps because you bake a cake for your child made ​​happy both for different reasons. Writes the essay in the first person singular, “I”, and in a conversational tone. The goal is to help the reader to reach a conclusion about life, based on the experience of others.